The sidewalk along the river on S. Park Drive is currently closed from the corner of N. West St. and S. Park Drive to Wilmington Hospital due to the removal of the West Street dam. Find recreation, history, education, and sports and community events right in the heart of Wilmington. These parks are the perfect place to relax, hike, picnic, or just enjoy the beauty of the Brandywine River. While certain portions of Wilmington State Parks are owned by the City of Wilmington, Delaware State Park rules and regulations apply to all areas. The park is home to the Brandywine Zoo and to Baynard Stadium. The Sugar Bowl, constructed in 1902 and recently restored thanks to efforts by Friends of Wilmington Parks, is once again a popular summertime concert venue. Brandywine Park was placed on the National Register of Historic Places in 1976. The 100-year-old Rockford Tower is the centerpiece of this park. The historic stone water tower is located amid rolling hills and vistas offering beautiful views of the city. 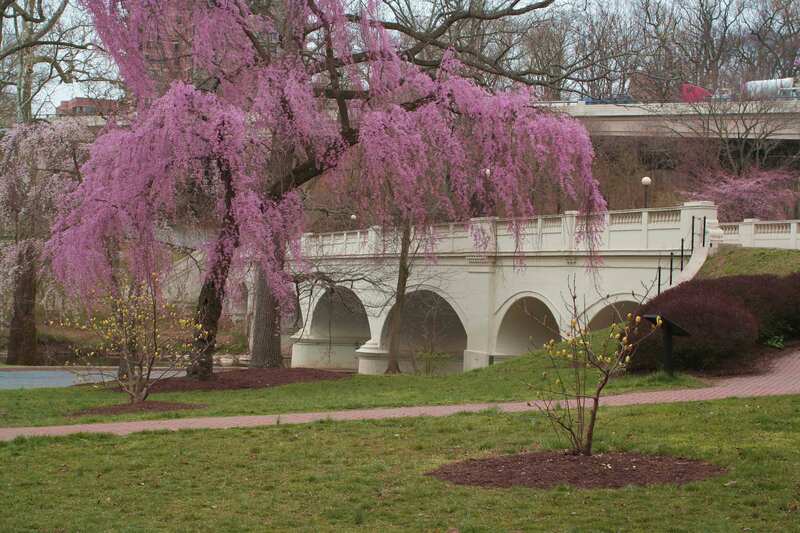 Meet a friend, eat lunch or stroll through this intimate park adjacent to Brandywine Park. An overlook provides scenic views of the Brandywine River and the historic millrace that provides much of Wilmington's water supply. Located at the corner of South Park Drive and N. King St.
Open daily from 8 a.m. until sunset. *At Baynard Stadium and the Brandywine Zoo only.